North Spokane RV Campground is perfectly located between the conveniences of the city and the year round outdoor fun and adventure that Eastern Washington and Northern Idaho has to offer. Located on Highway 2 in North Spokane, we are a short 7.5 mile drive from I-90. 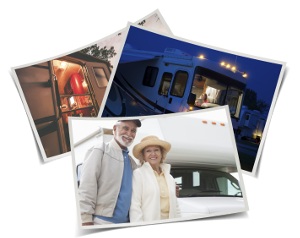 Locally owned and operated this state-of-the-art RV campground is all new and offers a range of amenities including complimentary wi-fi and cable TV, dog park, tot-lot, private bath houses, private showers, seasonal pool, rec. room, laundry facility, on-site propane and dump station, all with friendly and helpful customer service at a competitive price. Our beautifully landscaped campground is big-rig friendly and accommodates RV's of any size on large concrete pull-thru spaces. We are located within walking distance to a wide variety of shopping, dining, and other convenient services. Surrounded by a region filled with outdoor recreation, you can enjoy the regions many lakes, resorts, and mountains perfect for fishing, boating, skiing and other outdoor adventure of all kinds. Whether you are looking for a round of golf, nightlife or fun for the whole family we are close to a selection of parks, golf courses, wineries, craft-breweries, art galleries, local festivals, bowling, and sporting venues just to name a few. Visit our local attractions page for a full list of events of things to do during your visit.